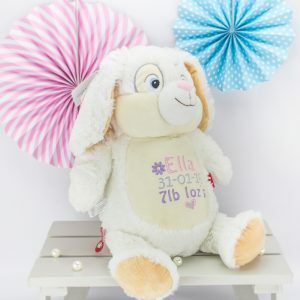 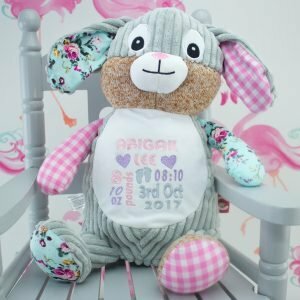 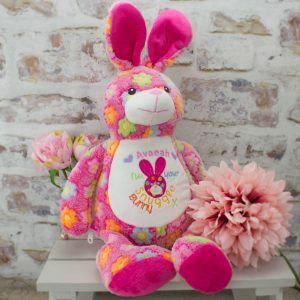 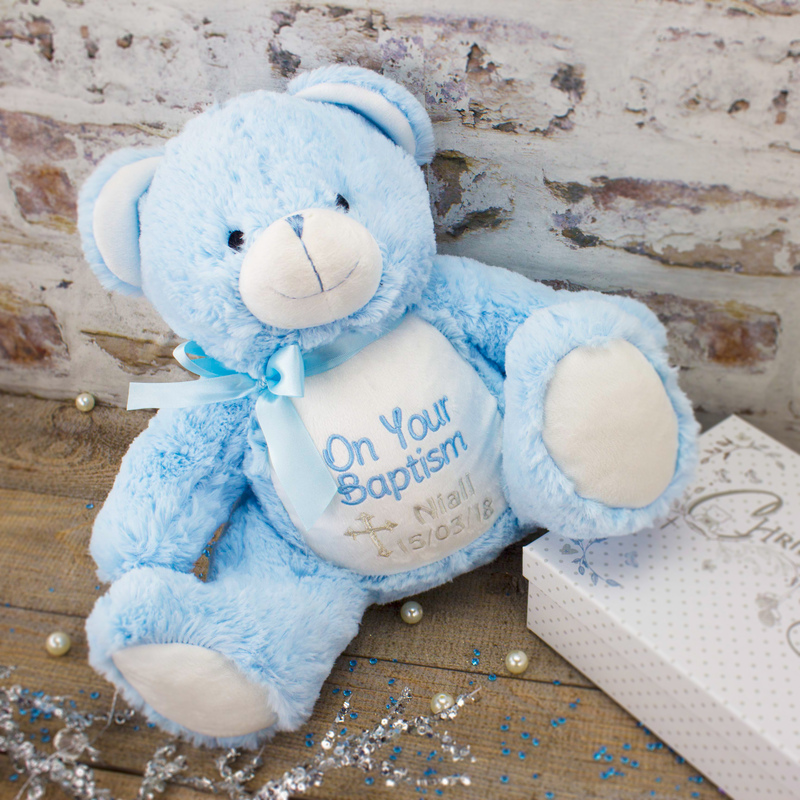 Our gorgeous 'Patchwork' Personalised Bunny Rabbit is the perfect gift to melt every baby boy's heart from the moment they lay eyes upon him, his fluffy fur is perfect for snuggles with your little one and will become a treasured keepsake with our free personalisation service! 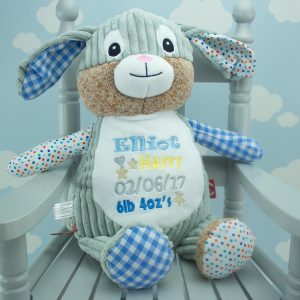 Check out our product photo gallery for different designs for the front of your bunny rabbit and select the matching one in the box below! 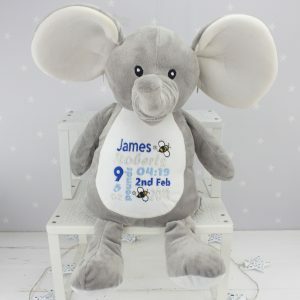 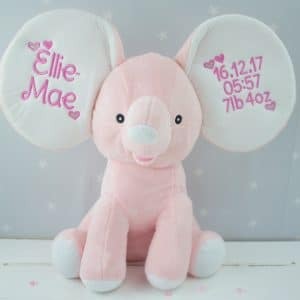 Our stunning Personalised Grey Elephant is the perfect personalised baby keepsake gift for every baby to hold in their heart from the moment they lay eyes upon him. 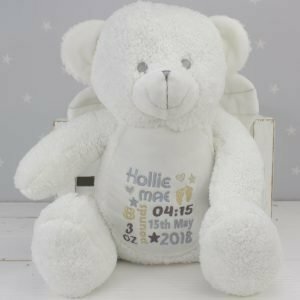 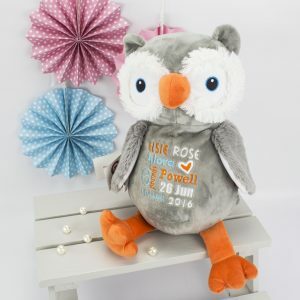 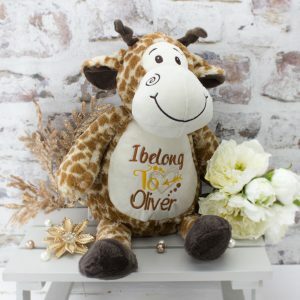 His soft fur is perfect for snuggles with your little one and will become a treasured memento with our free personalisation service! 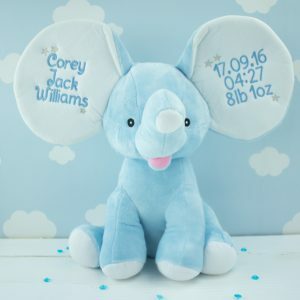 Check out our product photo gallery for different designs for the front of your elephant and select the matching one in the box below!